A few years ago a friend who was expecting her first child asked me if I had written a poem about mothering. I could only laugh in response. How could anyone write a poem about mothering? Since she wanted me to read a poem, though, at her baby shower, I decided that I’d give it a go and see what came of it. I closed my eyes and thought about the many challenges of being a mother and whether I had grown. The poem below was the result. which you feel and know. now your identity will always forego. look into his tiny eyes. God’s love can truly soar. you’ll as a mother dispense? my wrath over an irrelevant offense? for your child in pain? ceases to be a bane? God’s wisdom as their own? more gracious, Godly, and wise. One’s children can be both a source of joy and exasperation at the same time. I know, I have three. Recently I was slated to read a piece at Writer’s Read-Aloud, and since most of the other authors were reading narratives, I thought I’d do a poem. Since my children had been uppermost in my thoughts that week for a variety of reasons, I decided I’d write about what I’d learned from them. The poem below was the result. Is that they are God’s gift to me so I can continue to grow. Being a mother is one of the most difficult roles I’ve ever had. There have been great moments of joy, but I’ve also experienced moments of pain. When my oldest was about five, I learned for the first time how a child’s words can hurt, even when you rationally know that she doesn’t mean what she says. The short story below was the resulting story of that particular moment. As parents, we give much to our children: our love, our time, our very selves. Our reward is the love our children give back to us. For some parents, though, a time comes when one of our children may voice the one thought that pierces our hearts. For myself, that time came when my oldest was five. Maybe some of you parents can empathize with what happened . . . . The words echoed into the silence that followed my five year old’s outburst. Seconds became minutes, and still, neither of us spoke. She simply stood. Feet apart. Arms folded onto her hips. Her jaw jutting out. Every muscle vibrating with defiance. As I stared at her, a merciful numbness overtook my heart. To feel nothing seemed the best defense I had. Her words could not pierce a shielded heart. The walls of a cold heart could keep out the tidal wave of both the anger and sadness that threatened to overtake me. I racked my brain for something to say. Anything. Five years old, and she knew the very words with which to wound me. Thirty, and I had no response. Finally . . . .
“Fine,” I said, “I hope you’ll be very happy with daddy.” What was I saying? 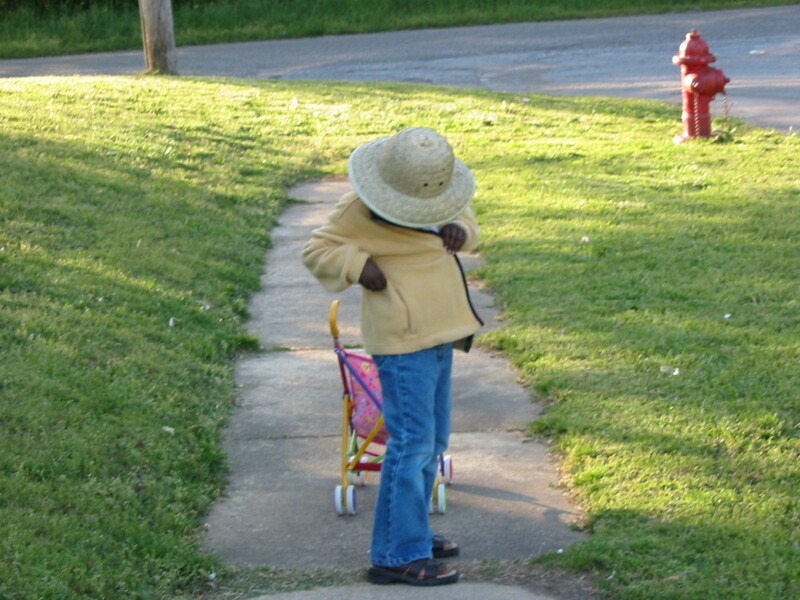 “I’ll leave as soon as daddy comes home.” I continued, “You’ll have no more mommy. No more hugs and kisses. No one to cook for you and do your laundry. No mommy to take care of you.” Had I lost my senses? Obviously. “Great,” I said, “I hope you enjoy your new life.” Good grief. I’ve definitely gone off the deep end. “I hope you have a good life, too, mommy,” she said. I stared at her. The cruelty of her words stung me. I could feel my shield cracking. To say one word would bring the walls tumbling down around me. So, I chose silence. Again seconds became minutes. Eternity seemed to have begun in my kitchen. Would the anguish drown me? She turned and walked into her playroom. I could hear her moving some toys around. I slowly walked to the closet and took out the broom. 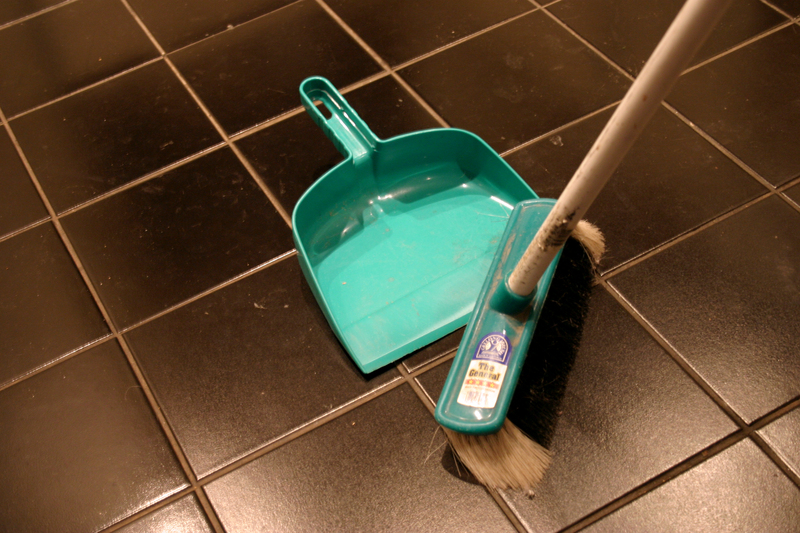 With deliberate movements I began the familiar routine of sweeping the kitchen floor. The kaleidoscope of anger and sadness became black again. Swish. Swish. The crack in my shield was mending. Swish. Swish. The walls were being rebuilt. She came running back into the kitchen. “Did you hear what I said, Mommy?” she asked. “Yes,” I replied. Swish. Swish. Swish. “Oh, because you didn’t say anything, and I wanted to make sure you heard me,” she said as she ran back into the playroom. I put the broom away and turned the kitchen faucet on. Clink. Clink. Clink. The sympathy of the dishes was comforting. “Yes,” I said. Clink. Clink. Clink. “I thought you didn’t want a mommy,” I replied. “Why would you need a hug from me?” Clink. Clink. Clink. Slowly I turned the faucet off. I dried my hands and turned to her. She gave me a hug and ran off into the playroom once again. I picked up the toys from the family room and thread my way through the maze of tupperware and cups my twenty month old had strewn on the floor. I walked into the playroom. There she sat. Legs crossed. A book in her lap. Her head bent. Her sister sitting next to her, watching as the pages turned. She looked up. “Will you read to me, Mommy?” she asked. Was that a thaw I felt? “First I want to talk with you,” I said. “I’ve decided I’m not going to leave you. I love you too much to let you grow up without a mommy to take care of you. But I want you to know that you hurt mommy’s feelings by saying you didn’t want me as a mommy anymore.” That’s definitely a trickle. I looked at her staring at me with wide eyes. “Do you understand why mommy was hurt?” I asked. “I forgive you. You know I love you very much.” Watch out! The walls are cracking! “I love you, too, Mommy. Can you read to me now?” she asked. “Yes, I can read to you,” I replied. I sat on the floor and crossed my legs. She settled herself on one knee while I pulled my youngest onto the other knee. With my arms around them both, I began to read the story. Flip. Flip. Flip. As the pages turned the flood began. Slap. Slap. Slap. One drop fell to the floor. Then another. Slap. Slap. The pages kept turning. Flip. Flip. The tears kept flowing. Slap. Slap. She turned to look at me. “What’s wrong, Mommy?” she asked. Someday. Someday I’ll show this to you, my sweet. Maybe when you have a five year old of your own.